Botwell ward Councillors Janet Gardner, Scott Farley and John Oswell are ‘on a mission’ to make the environment in the ward a better place for the residents to live in. Cllr Scott Farley, since being elected in May has made great strides in getting rubbish removed from the dumping ‘hotspots’ in Botwell ward. He can be found all over the ward with his trusty camera taking photos of the rubbish that has been dumped by residents and shopkeepers, which are used as evidence and sent straight to the council so the rubbish is located quickly and removed. Cllr Farley is doing all he can to impress on those who hold the purse strings at the council, that many areas in Botwell ward would benefit from the placing of CCTV cameras. The hope is that CCTV cameras recording in specific areas will be able to identify and prosecute those who are responsible for mess. 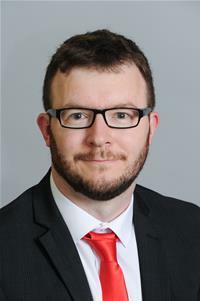 Local residents are encouraged to attend the Botwell ward surgery, which is held every other Friday between 1.30-3pm at the One Stop Shop at the Hayes Leisure Centre complex, to raise concerns with their Councillors. Many residents turn to them when they feel that nobody at the council is listening to them. “Since being elected in May, I have submitted hundreds of enquiries, many of which relate specifically to flytipping in Botwell. 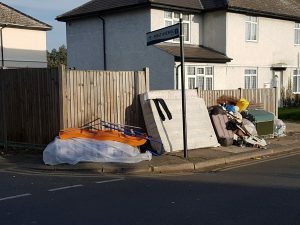 “The Council needs to do more to not only clean up areas that need it, but to also take preventative measures to ensure flytipping does not occur in the first place. Janet, Scott and John are keen to assure their residents that they will always do all they can to help, and if they do not know the answer to a specific problem, they will attempt to get the answers. All three councillors work very closely with the local neighbourhood Police and a variety of community groups, in the fight to eradicate the anti-social behaviour that blights the area, behaviour that causes the residents great concern. They are also the first point of contact for many residents who would rather than speak to the police direct, they give their trusted Botwell councillors valuable information to pass on.